I read in the week that the bookshop Waterstones reported an increase in sales of physical books after years of decline due to competition from electronic alternatives. I have always preferred physical books as they can become so much more than the original contents. Second hand books that have the original owners name and date of purchase recorded, notes written in the margins and additional pages of information inserted in the book all help a book tell a much more comprehensive story than when it was originally published. One of my father’s books, London’s Georgian Houses by Andrew Byrne, published in 1986 is stuffed full of pages and cuttings from professional journals such as the Architects’ Journal, newspapers and magazines such as Period Home from the 1970s, 80s, and 90s. These provide so much more additional information, updated over past and future time from the original contents of the book. Included in these was a complete copy of an Architects’ Journal from forty five years ago, dated the 19th January 1972. This issue has a lengthy, special feature titled “New Deal For East London”. 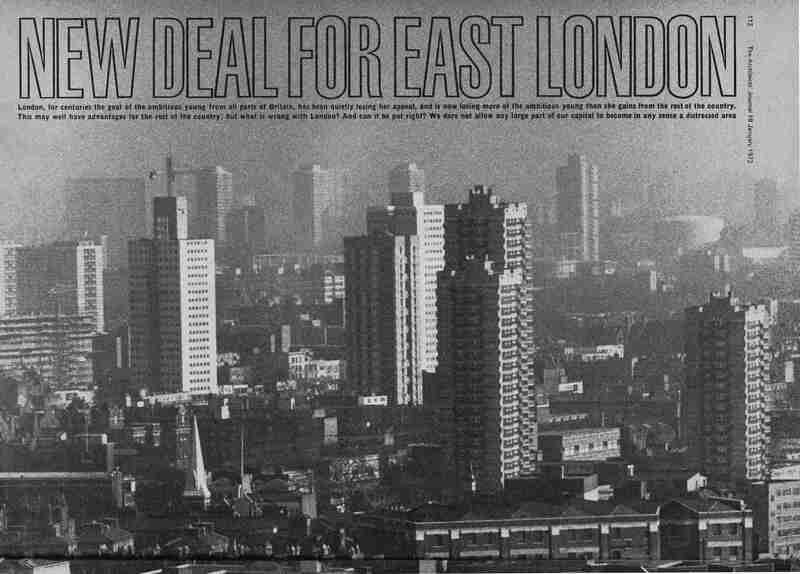 The feature reported on the challenges facing the whole area to the east of London, which by the 1970s had been in continuous decline since the end of the last war, along with the future impact of some of the very early plans for major developments across the whole area to the east of London. The title page for the article shows the view from south of the river of the new tower blocks being built across east London. Very different to today when London is often seen as sucking in jobs, resources and talent from the rest of the country. “This is the poorest part of the capital, with the greatest need for all the social services provided (or permitted to be provided) by the local authorities, and – not surprisingly – with the highest rates. Today this is a going downhill area in which neither the growing tourist industry, nor the entertainment industry, nor the new light industries show any interest. Such industries prefer to expand near the prosperous West End or in some part of the country, such as the new towns, where they will be eligible for an industrial development certificate and all the financial assistance that implies. A key focus of the article is a concern that should there be comprehensive development of the area in the coming years, then a range of pre-1800 buildings should be preserved. The article included a map that identified 85 locations where there are either individual or groups of buildings that should be preserved. The area includes parts of south London, although still to the east of the central city area, therefore considered as being east London. 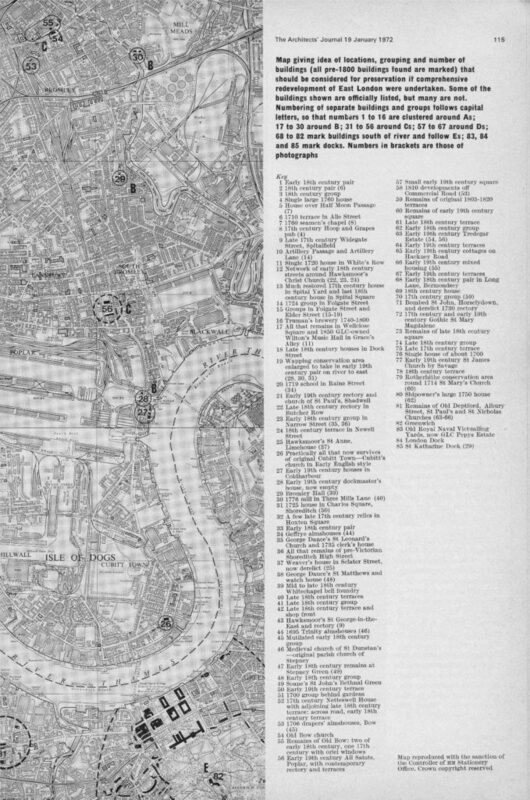 The second page of the map included a list of the buildings. 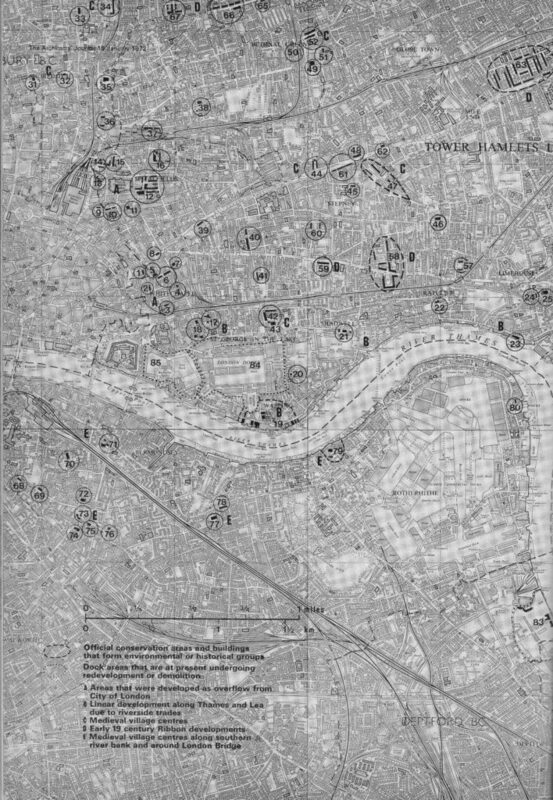 When I see an old map with locations marked across the map I always wonder what is there now (although 45 years is not that old, but London was a very different place in the early 1970s). There was only one thing to do, and start a project to visit all these locations and see if the buildings identified in 1972 as worthy of preservation have survived the considerable development of East London over the last 45 years. I had some time off at the end of December and so started with category A – Areas that were developed as overflow from the City of London and in today’s post I will visit the sites clustered around Whitechapel and in next week’s post conclude category A with those clustered around Spitalfields. I intend to visit all the sites on the map across the coming months. I have marked these on an up to date OpenStreetMap of the same area. Note that the Architects’ Journal appears to have the location of site 8 wrong on the above map, I will come to this later. Comparison of the two maps also shows how the road layout has changed. In the 1972 map, Commercial Road coming from the upper right side of the map ran straight to the large junction with Whitechapel High Street, Leman Street and Commercial Street. 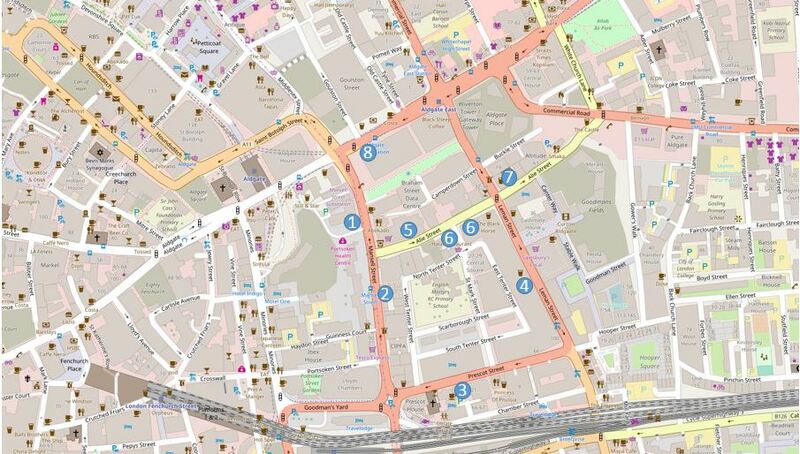 In the map of the area today, Commercial Road makes a sharp right turn and has its own junction with Whitechapel High Street. Also see the rail tracks turn off the main line into Fenchurch Street and heading north a short distance into an area marked as Goods Shed. Both the Goods Shed and the length of rail track have been removed and the area labelled Goodmans Fields now covers part of this area. Although the name includes the word Fields, this area is mainly covered with new housing developments. Turning off Aldgate High Street, I walked down Mansell Street to where site A should be according to the Architects’ Journal map, on Mansell Street at the junction with Little Somerset Street. 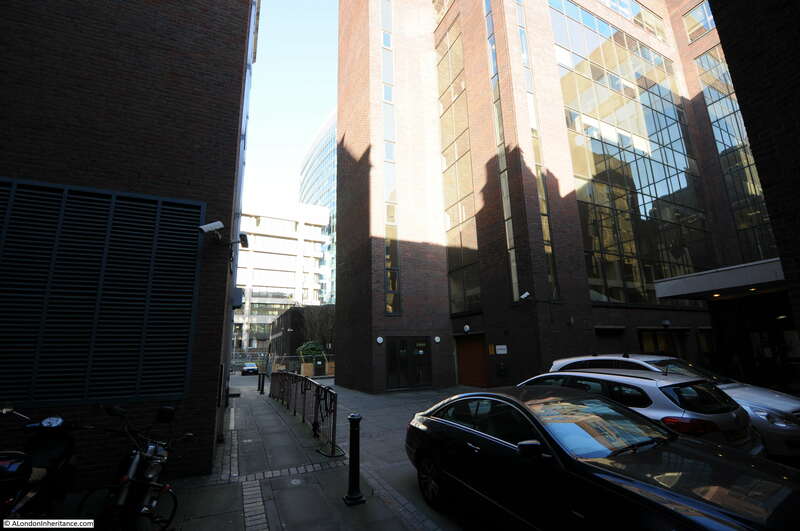 There was nothing to be found that resembled an early 18th century pair of buildings on this side of the road, and if the location on the map is correct, the site of these buildings is now occupied by the office block shown in the photo below. Not a very good start with the very first location lost at some point since 1972. The next location was further down Mansell Street, on the opposite side of the road and at the location marked on the map I found the following pair of well preserved buildings. 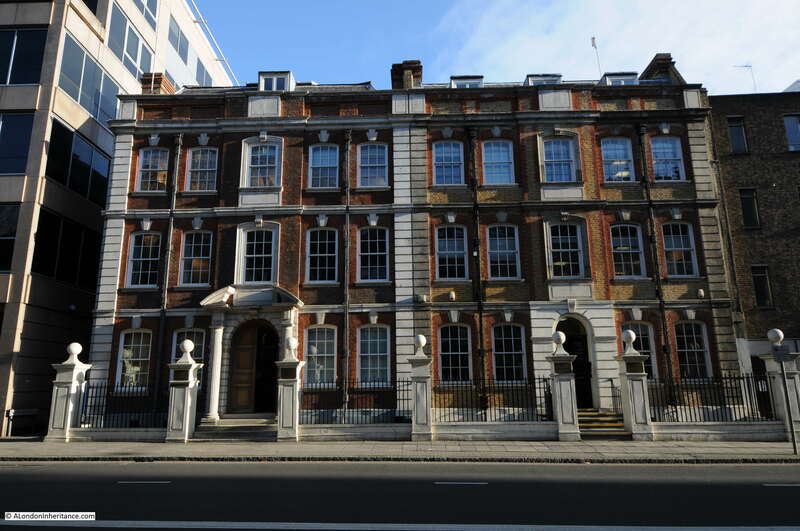 These are from the 1720s, with some possible Victorian updates to the facade. The entrance doorways would originally have been symmetrical. The doorway on the right has lost the pedimented Doric doorcase and the cornice above the door. 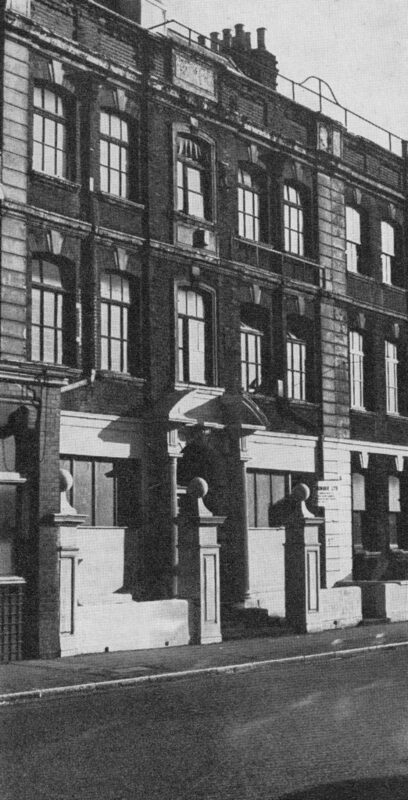 The photo below from the Architects’ Journal shows the state of the buildings in 1972 and they continued to crumble into the 1980s when the ground floor housed an Indian take-away. I am not sure when they were restored, however after a worrying start, it was good to see the second location in fine condition. To reach site three, I walked to the end of Mansell Street and turned left into Prescot Street. Here I was looking for a group of 18th century buildings on the south side of the western end of the street. Looking along the street I could only see one building of an appropriate architectural style and age, squashed between a Premier Inn and an office building. The Architects’ Journal described this location as a “group” so I assume that originally there were similar buildings on either side of this one survivor, possible of terrace of identical buildings. Strange to see this building sandwiched between two very different and much more recent buildings. Although not mentioned in the Architects’ Journal, there are a couple of interesting buildings further along Prescot Street. 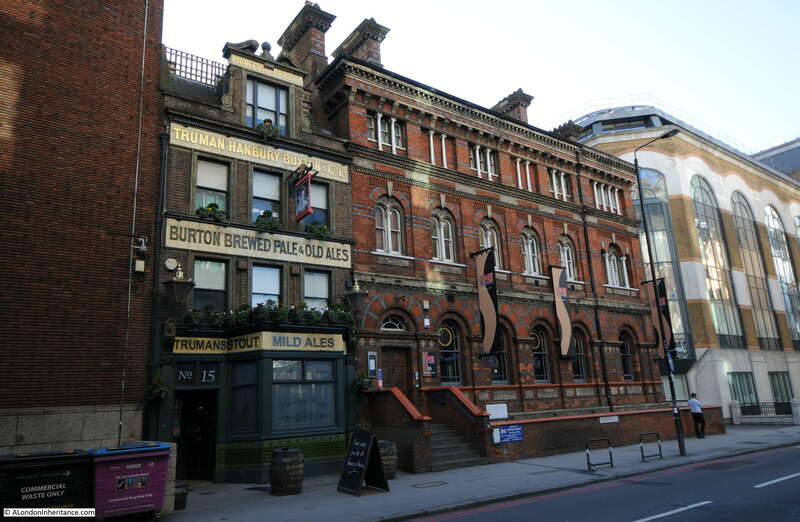 The building to the right is the old Whitechapel County and Police Courts, completed in 1859 and on the left is the Victorian pub the Princess of Prussia, built in the 1880s. Now to site number four. At the end of Prescot Street I turned left into Leman Street and walked along the street to roughly where the map showed the location of a single large 1760 house. In the expected location I found this cluster of three buildings. I assume that the single large 1760 house is the building on the right. I am now heading to Alie Street, but before I look for the next location, some information on the area I have been walking around. 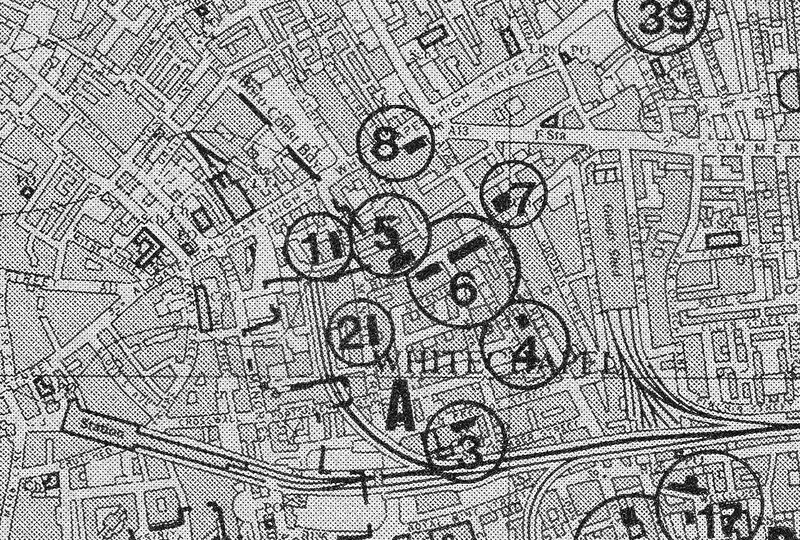 If you look at the map at the top of this post, Mansell Street, Prescot Street, Leman Street and Alie Street form a square around another square of streets, North, East, South and West Tenter Street. 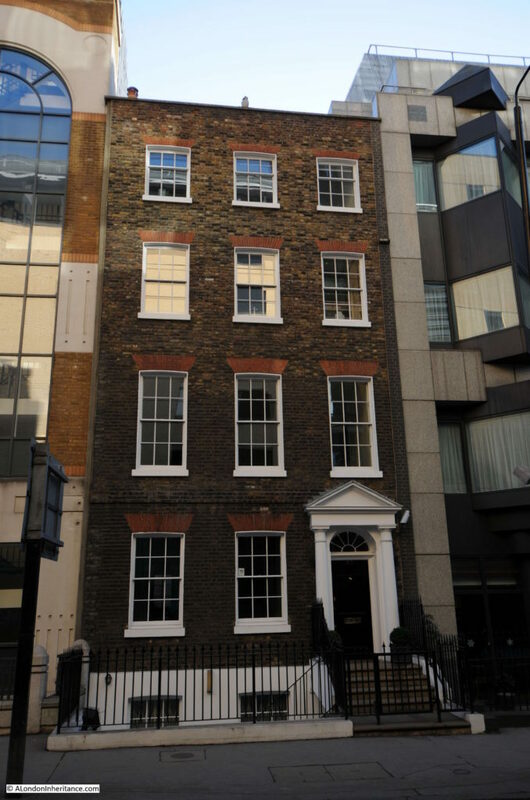 According to the Architects’ Journal article, Alie Street was laid out by Sir William Leman in 1710. “Mansel Leman, towards the end of the 17th century, married Lucy Alie of St. Dunstan’s in the East. hence Leman Street, Great and Little Alie Street and Mansel Street”. One refers to William Leman and the other to Mansel Leman. On checking the wonderfully named “Synopsis of the Extinct Baronetage of England” from 1885, Sir William Leman was the son of Mansel Leman. In the middle aisle of St. Dunstan’s in the East, there was an inscription to Alice Alie and Lucy Alie dated 1678 which is presumably the date of death. Mansel Leman died in 1687 (the name Mansel is the maiden name of his mother, Mary Mansel). So, given that the streets were laid out in 1710, Sir William Leman must have named the streets after the first and last names of his father and the maiden name of his mother. An earlier member of the Leman family, Sir John Leman (1544 to 1632) was Lord Major of London in 1616 and was a member of the Fishmongers Company. Within this square of streets is another square of Tenter Streets. The origin of this name is from the Tenter Ground that was enclosed by these streets. A Tenter Ground was an area of land where wooden frames called tenters were placed. These were used to stretch woven cloth so that it would dry. Before the Tenter Ground, the area was part of Goodman’s Fields. Continue along Leman Street and turn left into Alie Street. 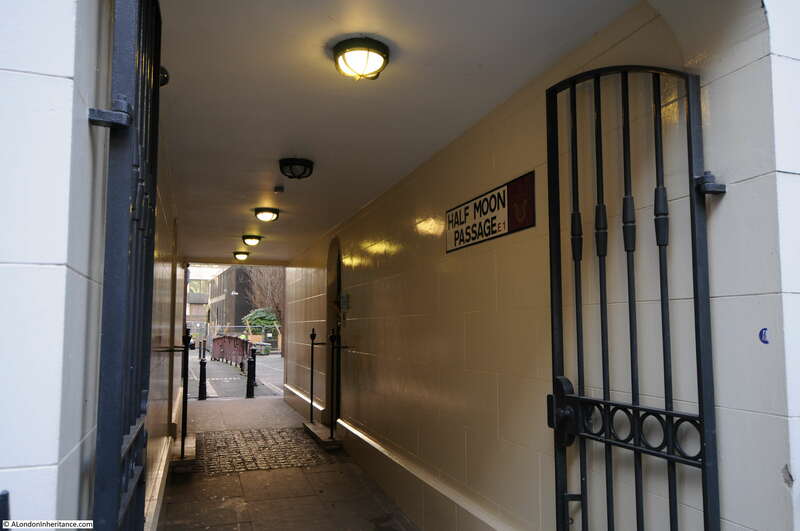 Walk along Alie Street to location number 5 where we find the house over Half Moon Passage. The building and passage are still here. I have found a couple of references to the origin of the name Half Moon Passage. One that refers to the graphic representation of an unpaid sixpence on a person’s tally used in pubs and ale houses in the 17th and 18th centuries, the other was that a tenement building that stood here in Tudor times was called the Half Moon. The photo below from the Architects’ Journal shows Half Moon Passage and the building around the passage in 1972. The buildings on the left have been replaced by a later office block. The pub on the right, the White Swan is still there, although impossible to get a pint of Double Diamond there today. 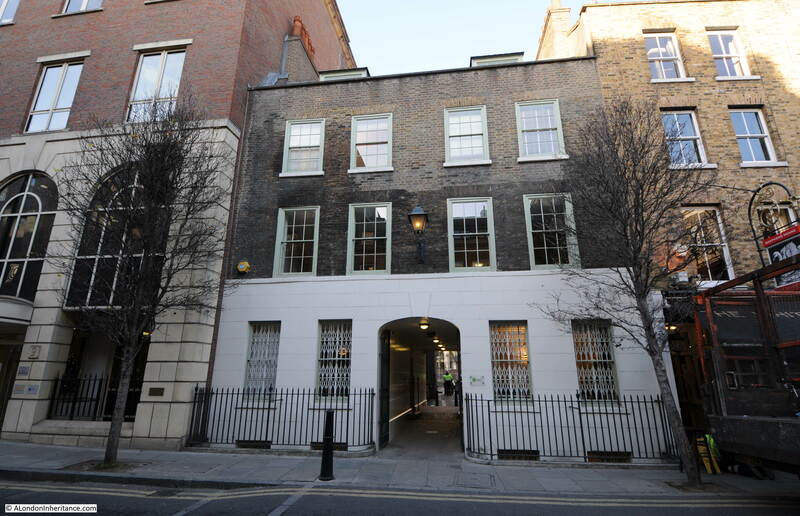 The name of the passage gives you some hope that it would open out into a hidden square of 18th century buildings, however at the end is a small car park and office entrance all thrown into shadow by the tall surrounding buildings. Opposite the White Swan is the start of the next set of buildings, a terrace that runs along Alie Street on either side of St. Mark Street. A pair of symmetrical, four storey buildings stand on each side of the junction with Mark Street. The terrace continues along Alie Street towards the junction with Leman Street. Changes to the ground floor, including extensions to the edge of the pavement obscure the lower floor, however the upper floors of this original terrace are still visible. At the junction of Alie Street and Leman Street. 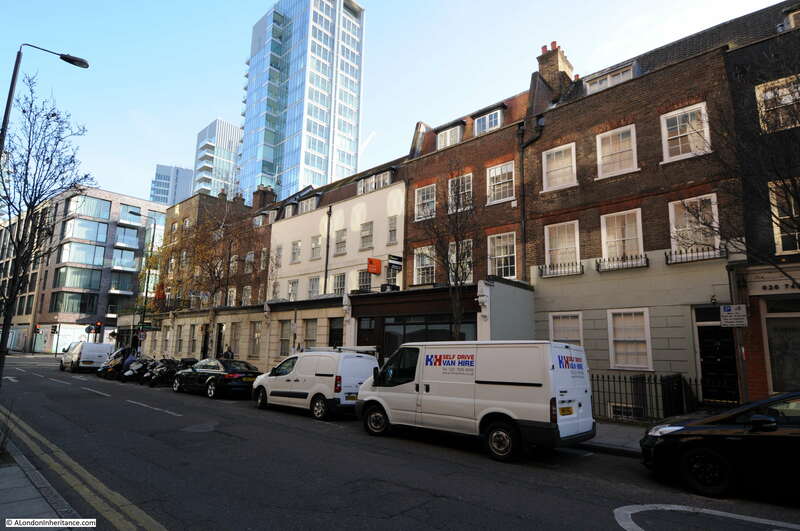 The design along Alie Street appears to have been four storey buildings on the corners of road junctions with a terrace of three storey buildings between these four storey corner buildings. The church of St. George is the oldest German Church in the country and dates from a time when the area around Aldgate and Whitechapel was home to a large population of German immigrants, which grew to such numbers that during the 19th century the area was home to the largest number of German speaking people outside of Germany. The church would have looked more impressive prior to 1934 when standing above the centre of the church was a large bell tower capped by a weather vane. These were taken down in 1934 owing to the poor and unsafe condition of the structure with the plain roof we see now put in place. As with much of the surrounding area, the church was falling into a state of considerable disrepair during the 1970s, 80s and 90s. 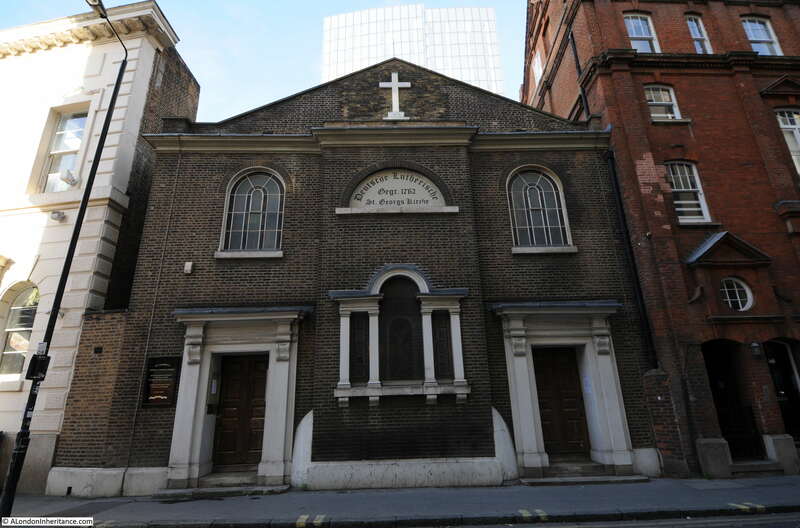 Such was the state that when the church was acquired by the Historic Chapels Trust, almost £1m was needed to repair the fabric and structure of the building. The church was closed during my walk, however the interior contains many original features from the 18th and 19th centuries. The final site in the Architects’ Journal cluster of buildings in Whitechapel is the Hoop and Grapes pub. 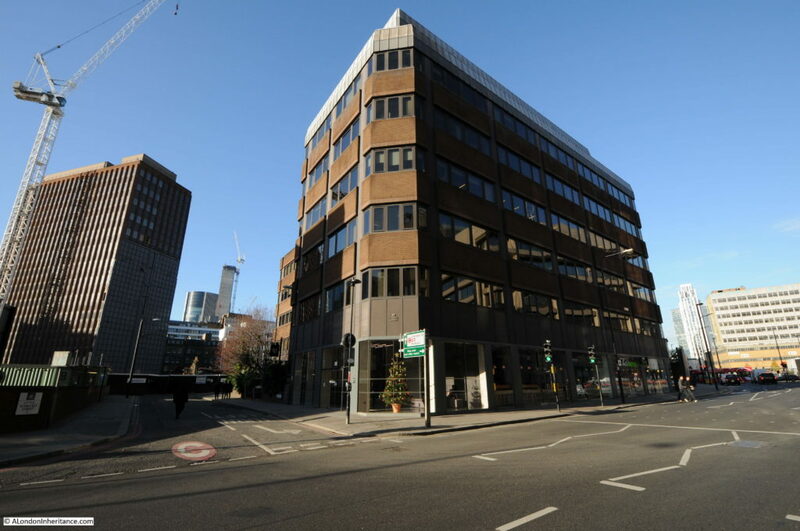 This is the building that is incorrectly marked in the Architects’ Journal map which shows the building at the junction of Whitechapel High Street and Leman Street where it is actually at the junction of Aldgate High Street and Mansell Street. The Hoop and Grapes has foundations going back to the 13th century. There are various dates for the main building with both the 16th and 17th Centuries being claimed. The Architects’ Journal states that the building is from the mid 17th century and Pevsner moves this to the late 17th century. I suspect that this was due to the the way buildings evolved rather than being built as a new single construction, parts of the building could well date to the 16th century with additions to the facade being added to meet the 17th century dates of both the Architects’ Journal and Pevsner. If you look at the construction sites across the City today, buildings are completely cleared away allowing a new building to be constructed without any of the earlier foundations, reuse of materials etc. 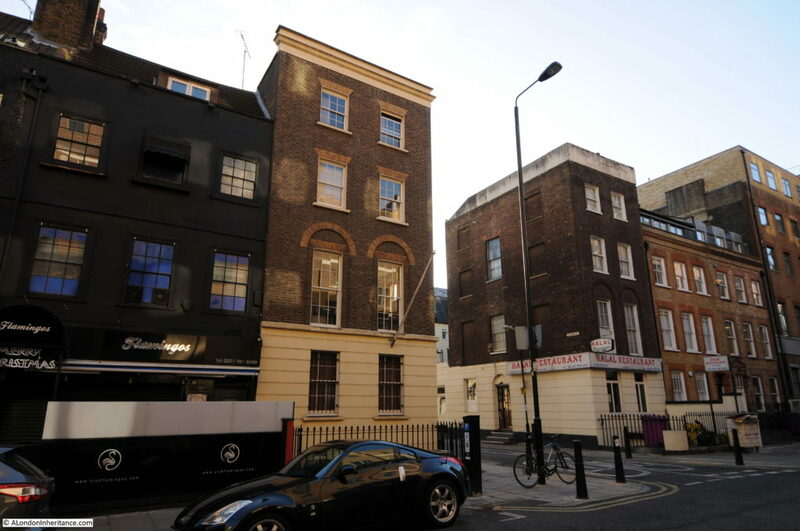 The only exception being the hideous practice of removing all parts of a building with the exception of the facade (although whilst i deplore this practice it does at least retain the original street appearance despite a completely new building behind). 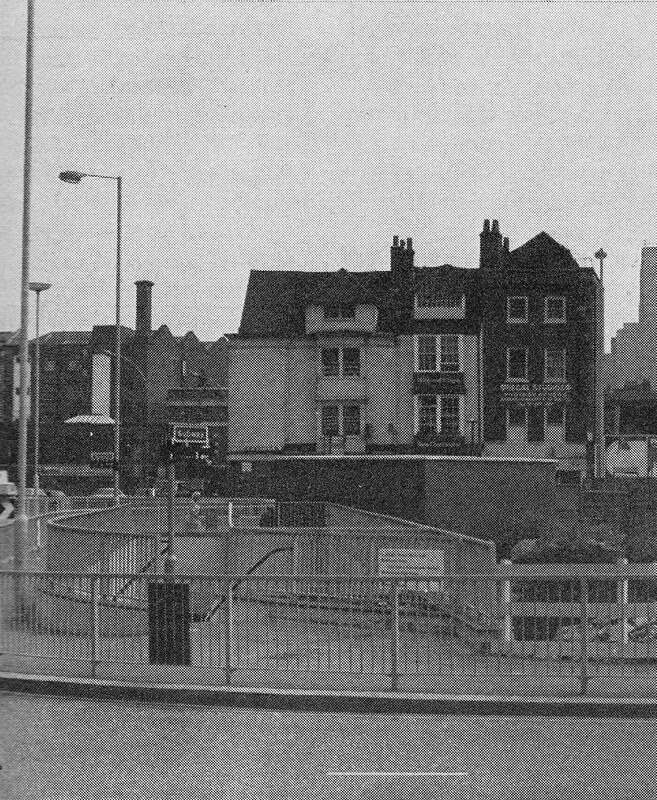 The photo below from the Architects’ Journal show the Hoop and Grapes in 1972 with a more industrial set of buildings in the background. The photo also had the statement that the pub is marooned by the road system around Aldgate and is grotesquely situated, but gives a glimpse of what the City was like before the great Victorian and later rebuildings. This is still somewhat true with the pub being at the very busy junction of Whitechapel and Aldgate High Streets, Mansell Street and Middlesex Street, with the surrounding ever rising office blocks. 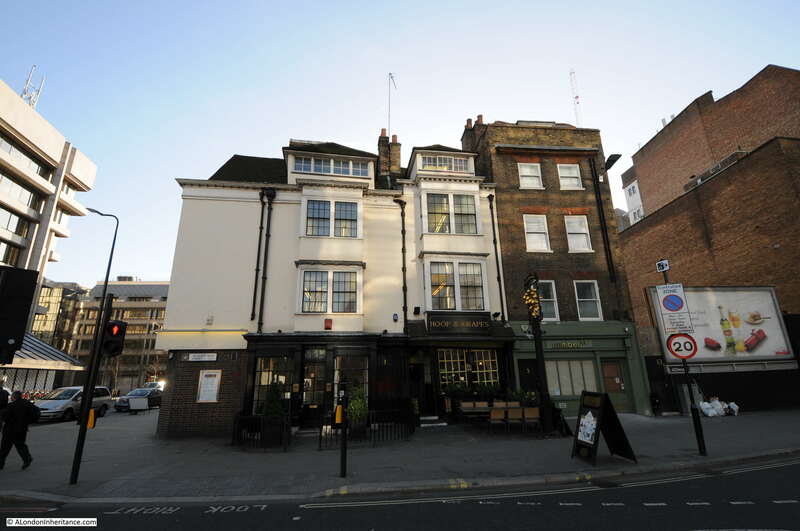 The rather crooked entrance to the Hoop and Grapes. An ideal place to stop after a walk around Whitechapel on a cold December day. Forty five years after the original Architects’ Journal article, I was pleased to find that seven out of the original eight buildings, or clusters of buildings that the article proposed should be considered for preservation have been restored and survive into the 21st century. 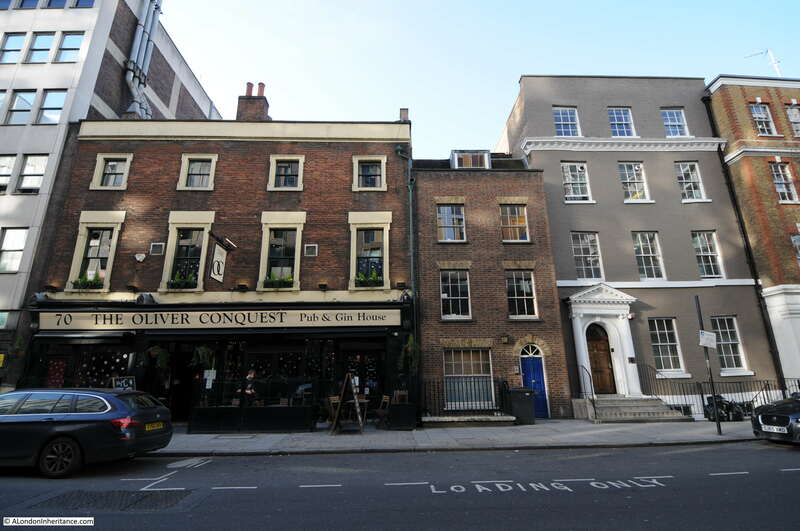 In my next post I will be visiting the final set of buildings in category A – the cluster around Spitalfields. This entry was posted in London Buildings and tagged Architects' Journal, East London, Whitechapel on February 5, 2017 by admin. I’d discovered some of these fine buildings for myself… and had a pint in a couple of the pubs. But really interesting to pick up all this other background. Great post, and I very much like your idea of following up on this article. I’m especially interested as the whole area you are researching is where my husband’s family hails from – 1690 – 1925 – so it will help me to understand the locations much better. Well done,Admin. Another most interesting post. 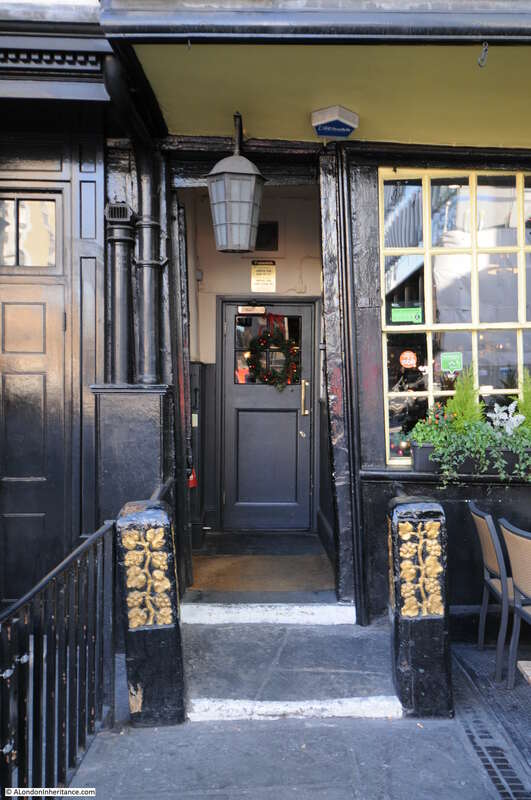 A few new places there to re-visit,including some surviving hostelries! 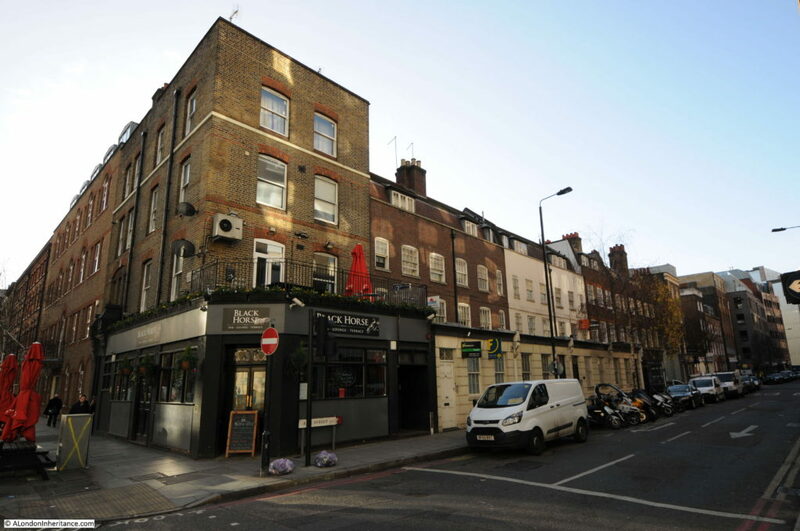 We visited the Hoop and Grapes towards the end of last year. It came near to the end of one of our walks (pub crawls) around the city. The rather lopsided entrance made us think that,maybe,we had had enough! I’m looking forward to your next posts on this subject and wishing that I had always had a camera with me back then in the late sixties and early seventies. Still,the sites are all there in my memories. An excellent article – am looking forward to the rest of your visits. Fascinating as usual. Thanks for all your research. What strikes me is how beautiful and durable those old brick buildings are. If only today’s buildings were constructed on the same lines instead of the characterless monstrosities that spring up everywhere. I enjoyed this. Last year I stayed in a hotel in opposite the Premier Inn and noted from my window the strangely marooned 18th century houses. This helps to make sense of the disjointed appearance of the street. 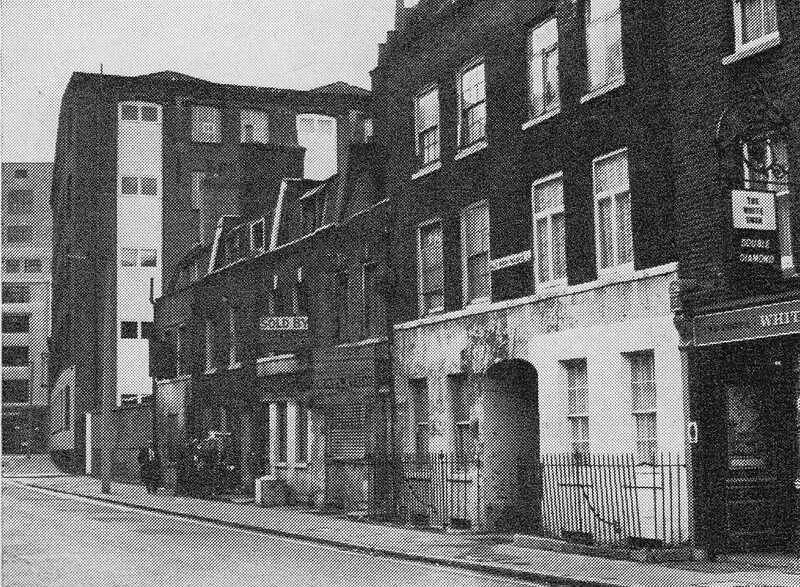 The Hoop and Grapes, and the adjoining buildings, seems such a sad remnant of the once-fascinating Aldgate area. I imagine it was much like Borough High Street in its time. I look forward to the rest of this series. Thank you for a great article, I too like the idea of you following up to see what’s left standing. 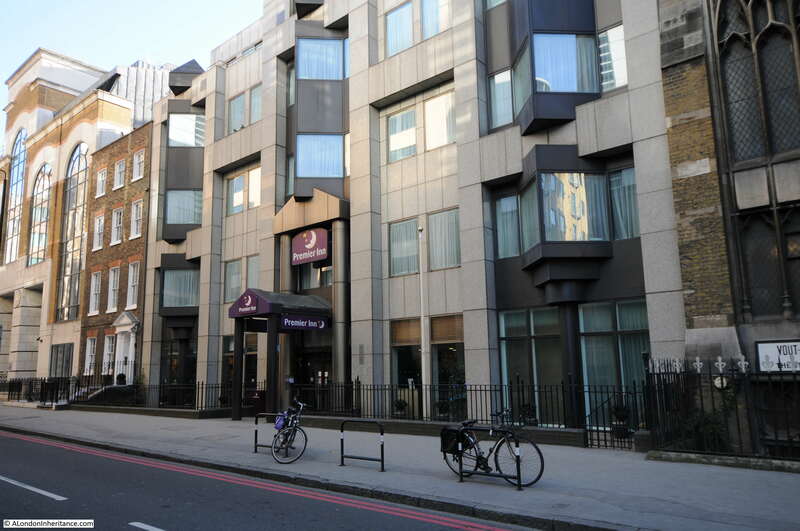 With reference to Prescott Street in the 1980s where the Premier Inn now is were the offices of the General Council of British Shipping, what was known as the “Pool” where people wanting to go to sea would put their name down for vacancies on merchant ships. I went there several times during 1980s for medicals before going to sea. The G.C.B.S. also had one next to the Baltic Exchange but both were demolished after the IRA bomb. This side by side is fascinating. not see this before. Many thanks for the link. Thank you! I was fascinated by this virtual tour. “Impossible to get a pint of Double Diamond in the White Swan today.” It’s good to see that some things have improved! My memories of the East End are very much of the period from the early 60s to the 70s when I would go with my dad to see his mum (Nan) who lived in a dirty flat in Hackney. Having been brought up in SW London it was indeed a cultural divide. But I always enjoyed the visits even if I was looking at places and people that were quite alien to my everyday life. Now when I was in email conversation with a lady who had worked for the GCBS in St Mary Axe at the same period she knew nothing of the Prescot St branch but the paperwork is in good condition and unaltered. I do not believe the building still exists in the form in which I remember it from that time.